The ever increasing demand for counselling services in Sudbury and the surrounding area has prompted the appointment of another new counsellor by the Kernos Centre. Maria Curry recently joined Kernos and is currently undergoing an induction programme prior to taking on her full counselling responsibilities shortly. 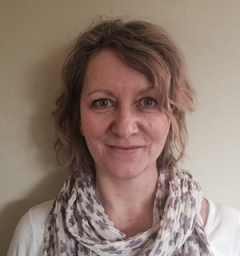 Maria has a Diploma in Person Centred/Psycho-Dynamic Counselling and a Certificate in Creative Therapies and, like all Kernos counsellors, she is a member of the BACP, the nationally recognised, accredited professional counselling association of which the Kernos Centre is also an organisational member. Kernos Director Chris Boatwright is delighted to have made the appointment: “I’d like to welcome Maria to the Kernos counselling team, and look forward to her helping us to serve the local community, whose requirement for our services continues to grow”.